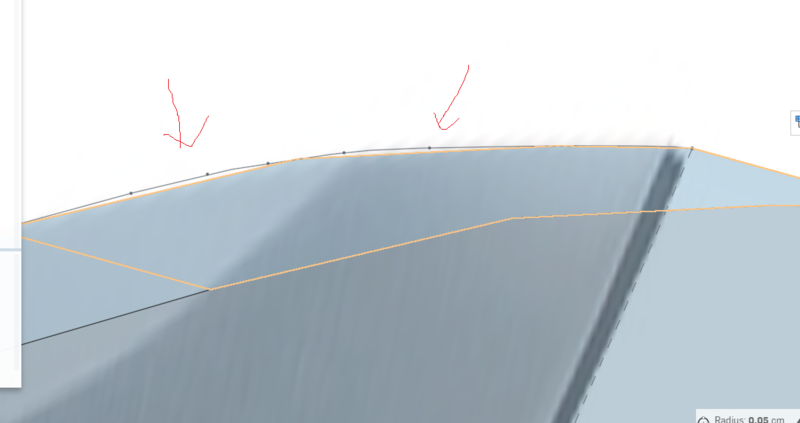 I need smooth spline, but if i take dwg, there are connected line at spline area. i am going to cut this with laser but i need smoother spline, how could i improve smoothness. you can see this at below. 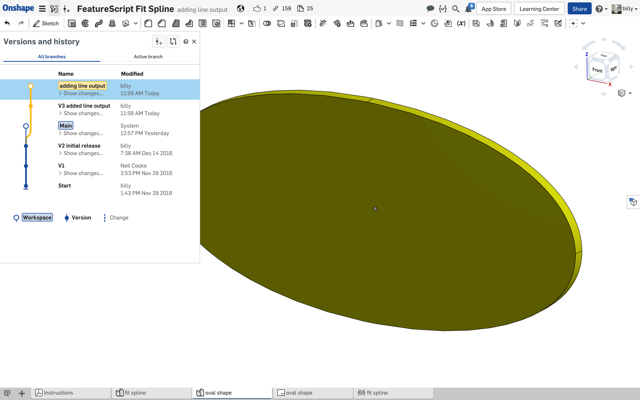 i can see stl file more smoother, if i open with fusion 360. But how can i use stl to get 2d drawing to cut laser. I'm working on the same problem, I have opened a support ticket to address this. I'm finding exporting from a part and a drawing produce different results. Not sure why, but I think export from a part yields better results. 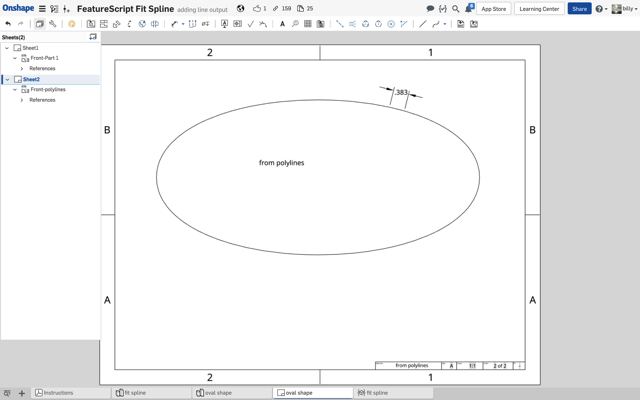 Today, I'm going to re-purpose a spline featurescript that I wrote a while back and have it tesselate the spline to create lines. This will give the facet control needed. If it works, I'll share it with you. 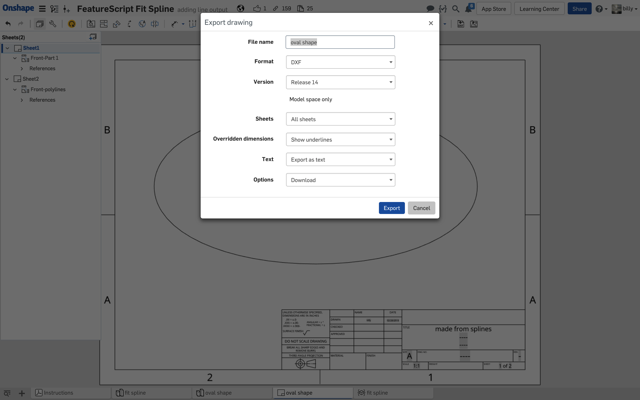 Ok, I got it, you can get to this through the fit spline featurescript. It should be available from Onshape in their featurescript area. 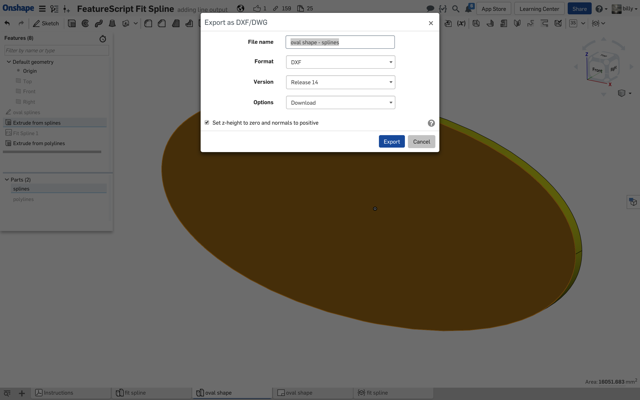 I did branch 'fit spline' and version it. You'll need V3. A couple of things 1st, exporting from a partstudio & a drawing produce different results. Exporting a partstudio seems more robust. But, I want to do it from a drawing and this is what I'm trying to fix. 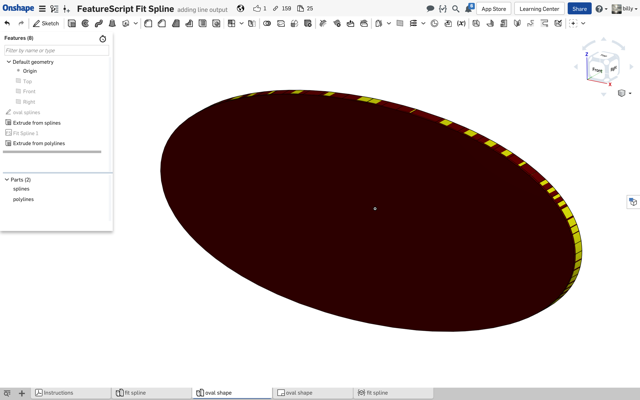 My technique is to interpolate the spline into a polyline which I control. I'll show you how it works. I'm going to focus on the drawings from this point on. The reason I create a region is because you can't window select curves once created and picking a thousands individual line segments is out of the question for me. 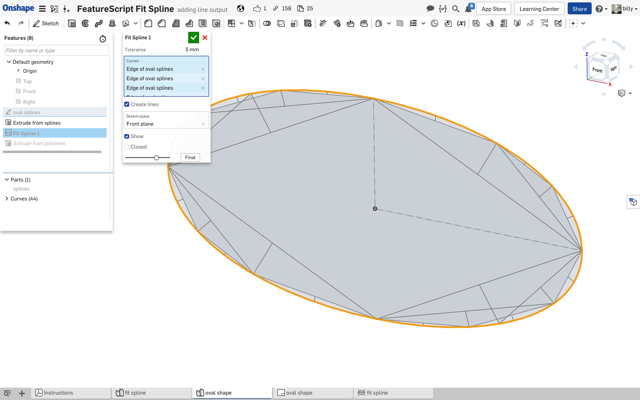 The region is selectable for an extrude. 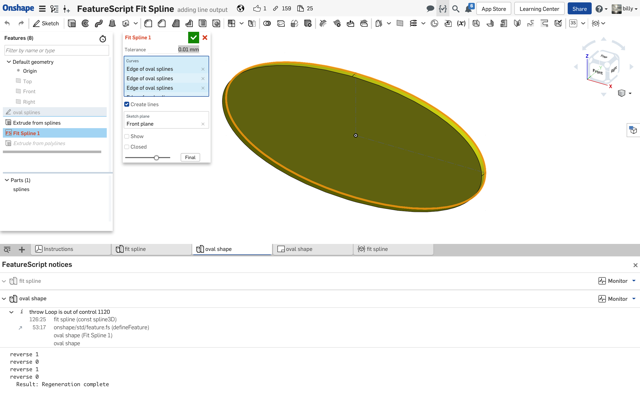 I've tried everything trying to get a good quality edge from dxf and spline interpolation. Neither os or sw produced what I would consider an acceptable edge quality forcing me to generate my own interpolation. You should be able to drive the tolerance down until you blow something up. I do have a run-away loop control I use when debugging this algorithm. Without it, an error in the code, you can't stop os, it's an infinite loop. To prevent this, I've set this to 1000 try's which is a lot. If you hit this limit, it'll hit an error and throw a message like 'loop is out of control'. Let me know if this works for you. 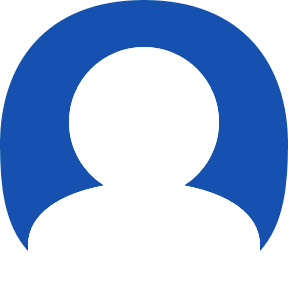 Bottom line, you should be able to control the number of facets on the edge of your parts and dxf it out to your laser cutter.